Each set has nearly fifty different barcodes that can be scanned using smartphones and tablets. 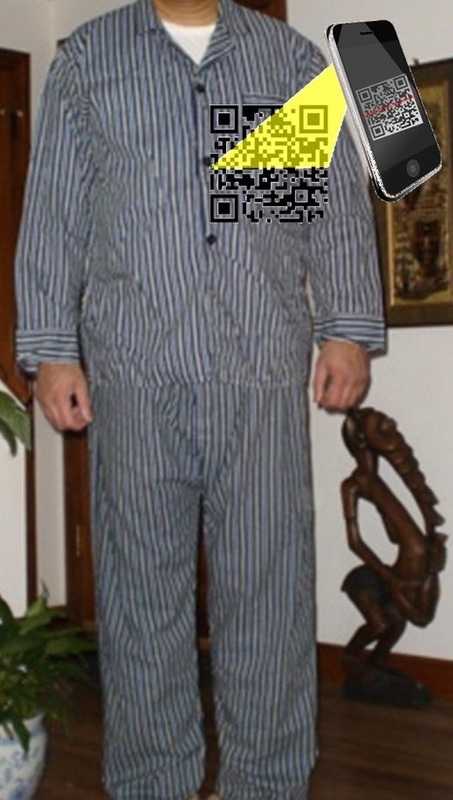 A realtor from Idaho Falls, Idaho, has used QR codes in order to develop what he has nicknamed “Smart PJs”, which allow kids to be able to enjoy bedtime a little bit more through the use of a smartphone and their jammies. The man behind the development of this new use for the barcodes is named Juan Murdoch. Murdoch explained his creation by saying that “It’s a new spin on pajamas. Pajamas have been around for thousands of years and this is something new.” As a realtor, not an inventor, creating uses for QR codes is far from his primary occupation. However, he explained that the idea of pajamas that could tell a child a bedtime story, or sing a lullaby for a little boy or girl simply made its way into his head, one day, and he just went with it. The QR codes on the pajamas provide a number of different experiences, not just a single song or story. The pajamas are designed with colorful dots all over them. Though they may simply look like bright and fun sleepwear, the dots are actually QR codes that can be scanned, for free, using the Smart PJs application, on an Android or iOS smartphone. Each set of pajamas has nearly 50 different dots, each with its own unique story or song. Once the QR codes have been scanned, the tablet or smartphone reads a book, sings a lullaby, or even tells the child a number of interesting facts about various animals. Depending on the code that is scanned, the result is different. Murdoch has explained that he is “proud” of his invention. He explained that it brought out the sense of pride that he feels in being able to “bring that technology and something unique to Idaho” and that he feels that it is “kind of cool”.